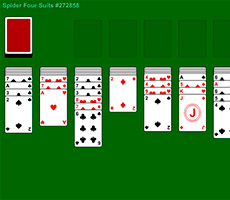 At the start in front of you are 7 card columns with increasing rows from 1 to 7 cards. 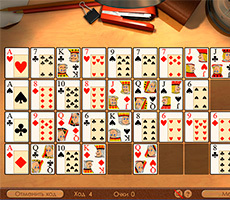 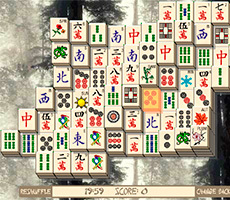 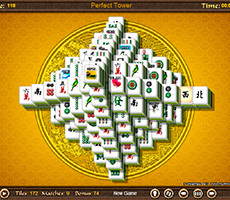 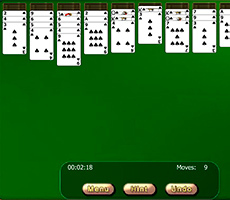 In the upper left corner lies the remaining deck, and in the upper right is the cells for suited series of cards. 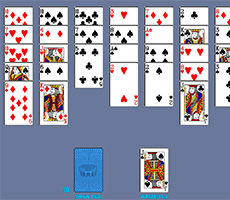 The last cards in the columns are turned by the face, the rest by the shirt. 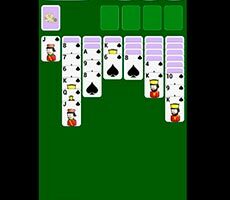 Open cards can be moved to the eldest cards, if they are of a different color suit. 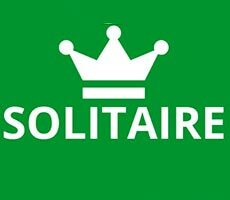 Only kings are put into empty cells. 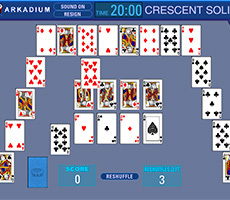 Additional cards can be taken from the deck located in the upper corner. 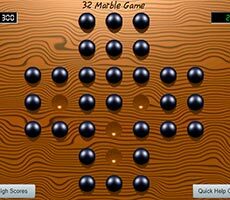 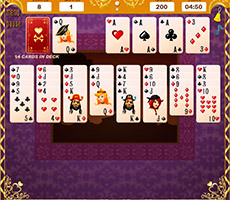 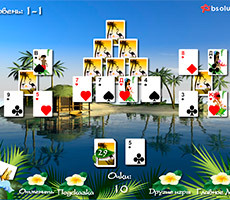 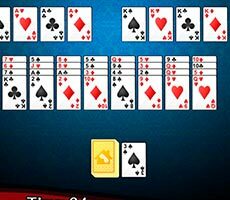 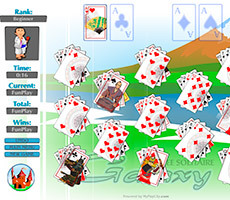 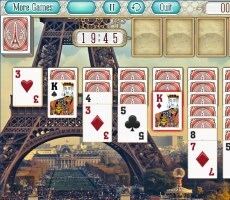 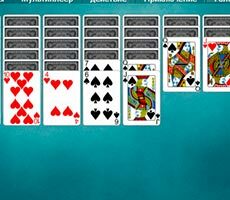 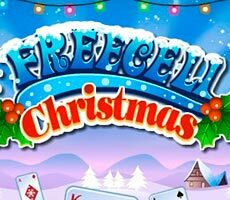 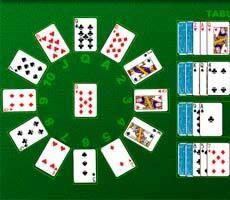 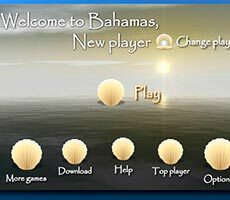 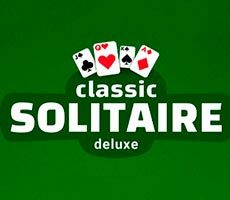 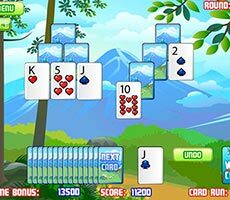 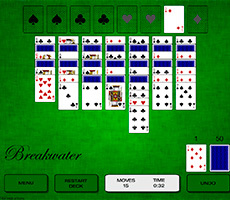 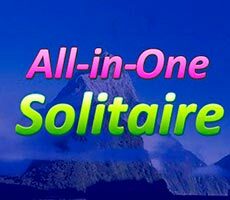 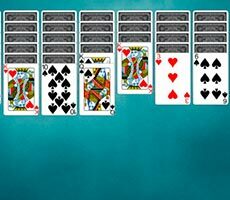 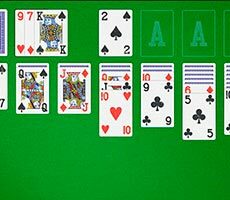 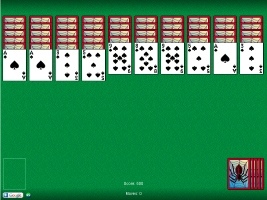 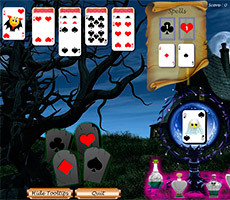 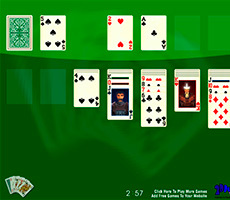 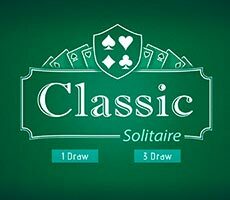 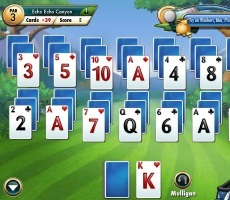 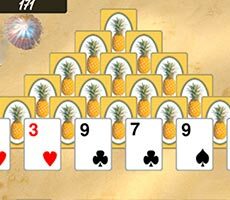 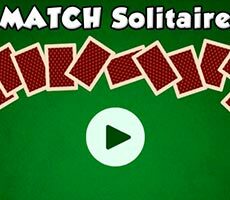 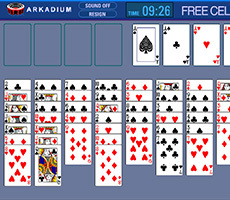 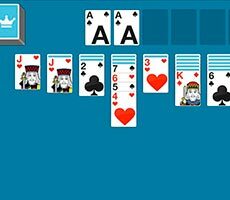 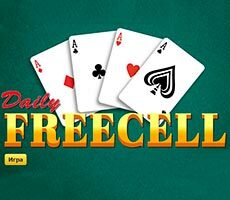 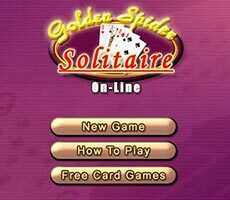 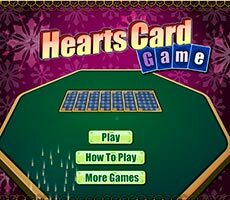 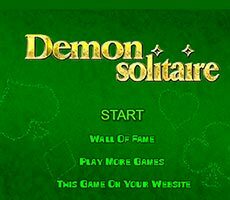 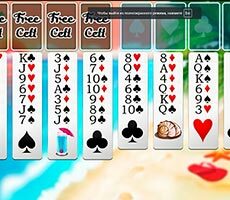 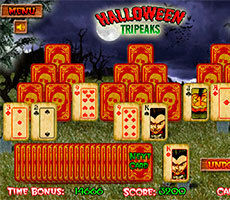 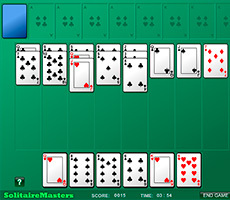 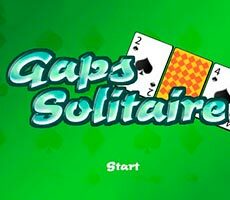 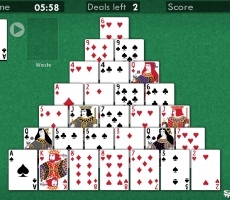 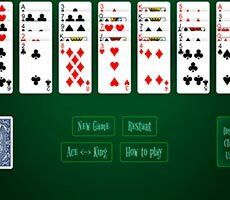 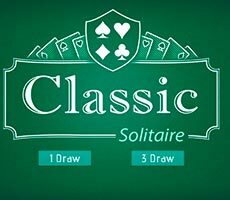 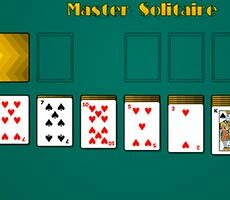 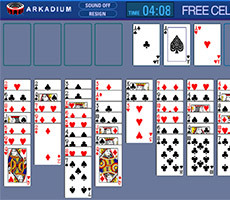 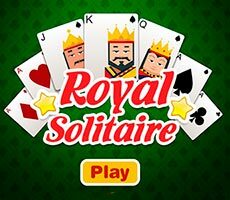 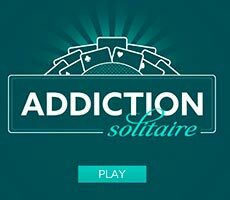 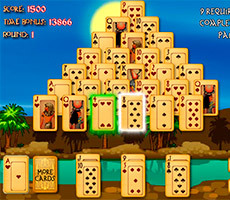 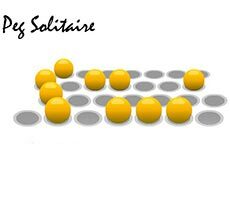 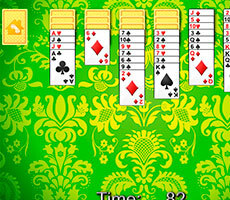 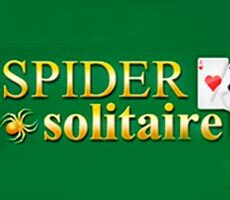 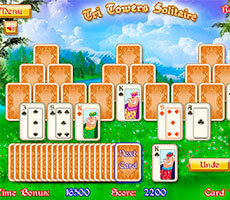 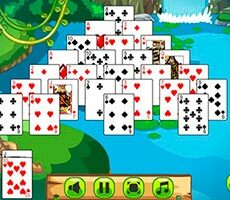 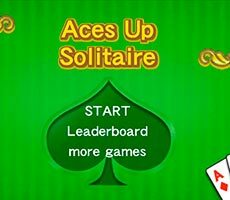 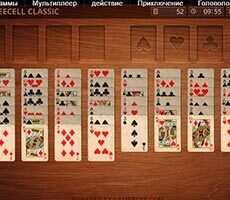 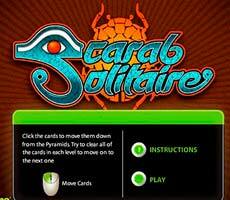 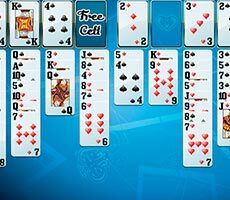 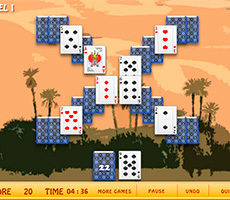 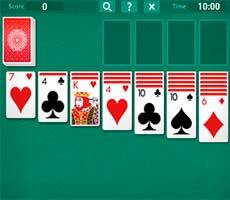 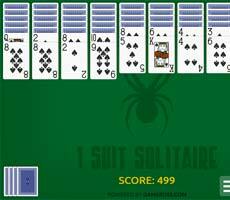 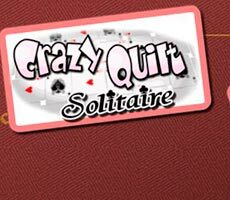 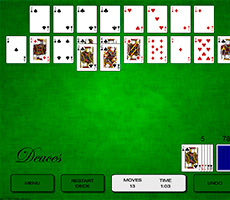 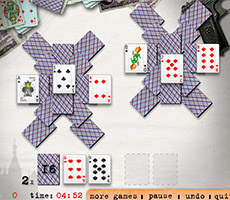 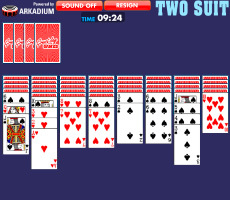 Play the card game Solitaire Solitaire on our website for free and without registration. 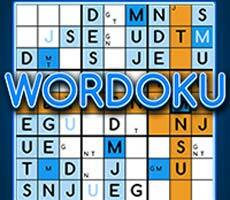 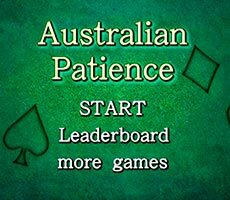 Do not forget to share your achievements in the comments under the game! 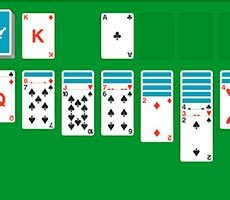 First, try as much as possible to open the cards in the columns. 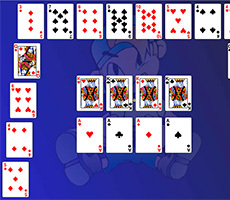 When you move the map, the next one opens after it, from which you can also perform actions. 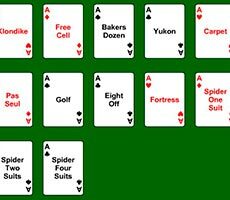 When there are no moves left on the field, refer to the deck and complete your posts. 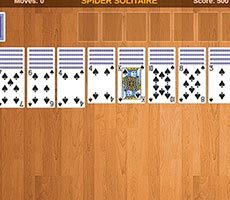 You can collect cards in the "houses", when all the cards in the columns are open, and all the cards from the deck are used. 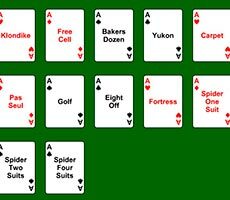 As soon as you see an ace, immediately put it in the house. 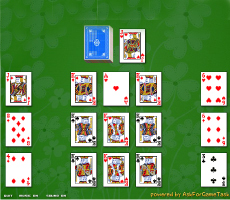 If desired, fold the sequence from ace to king right during the game. 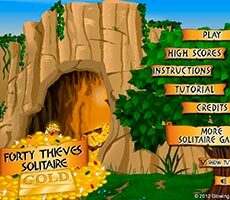 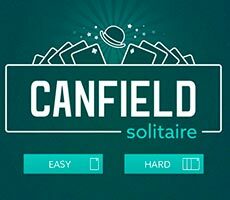 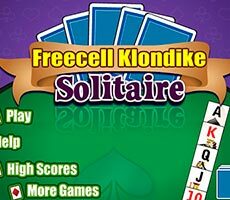 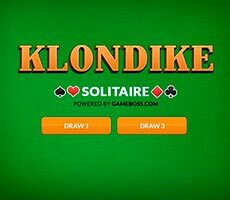 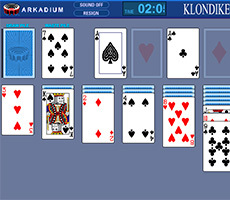 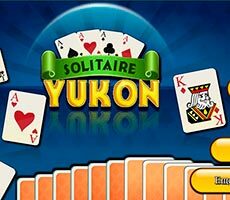 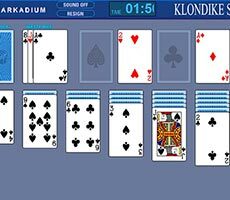 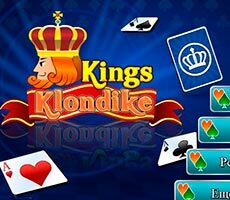 This version of Klondike amazes with intuitive control and dynamic plot, and nice icons, suitable sounds and a neutral background will increase the fun of the game. 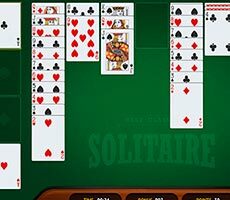 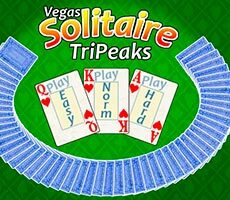 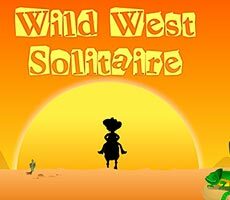 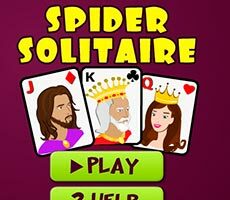 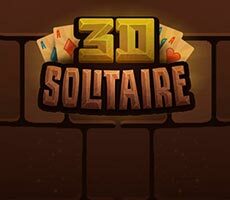 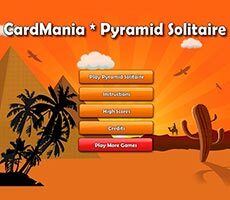 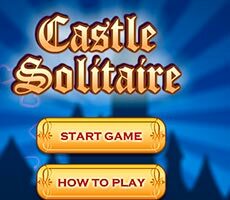 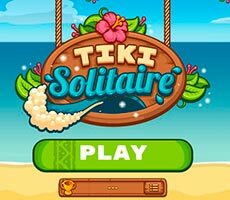 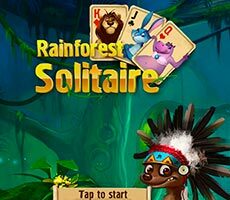 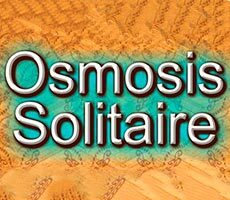 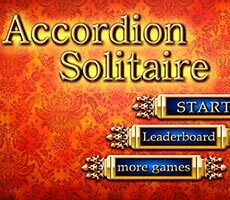 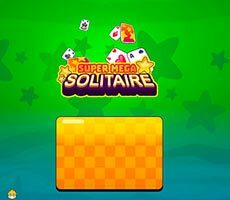 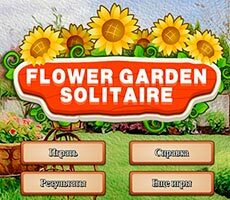 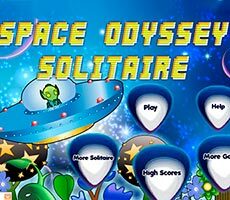 Play solitaire right now!